Prince Albert Police Service is asking the public for their assistance in locating 14-year-old Tasha Studer. Tasha was reported missing in Prince Albert on October 14, 2018. She is believed to be in Montreal Lake or Meadow Lake areas. 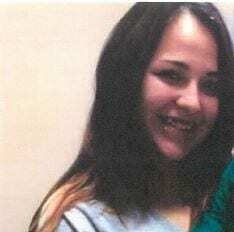 Tasha is described as 5’3 tall, approximately 119 pounds, brown hair and brown eyes. If you have seen Tasha or know where she is, please contact the Prince Albert Police Service at 306-953-4222.